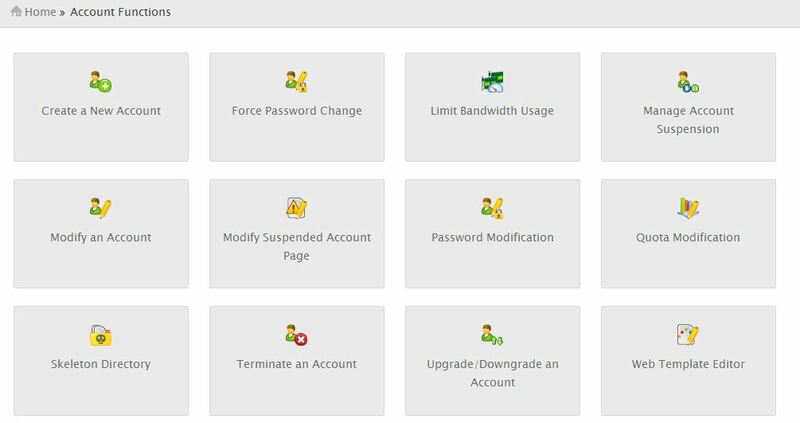 To create a new cPanel, click on ‘Account Functions’. Then click on ‘Create a New Account’. 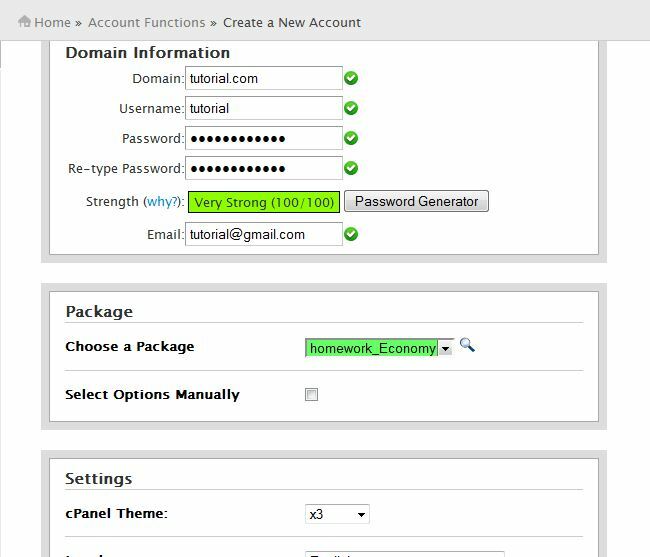 • Domain: Put the name of the domain for which cPanel need to create. • Username: Username will create automatically. • Password: Provide a password and re type it. • Strength: Here it will show that how strong your password is. Incidentally, cPanel’s password should be strong enough. And if you wish, you can generate a password by Password generator. 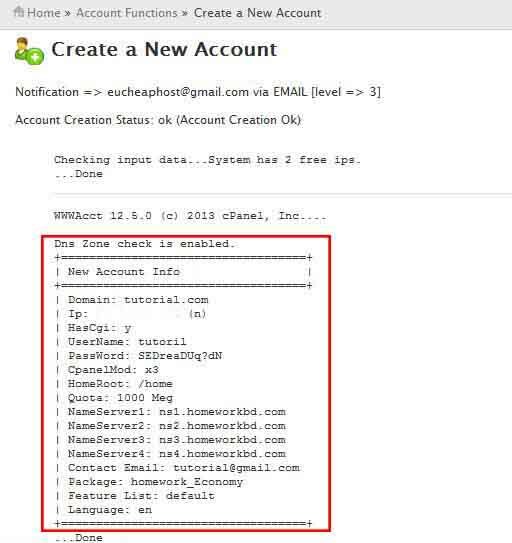 • E-mail: In this section, put the name of the owner of the cPanel. • Package: Select the package from the list here. 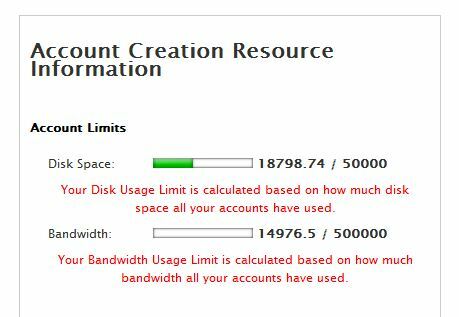 • Account Limits: How much disk space is used and how much is remaining will be shown here. Bandwidth bar will show the amount of bandwidth has used. In the picture below, amount of disk space & bandwidth usage has shown for a particular reseller. In that, 18798.74 is used out of 50000 of total disk space. • Account Limits based on Resources: How much space is used in a package will be shown here. The status of the packages is shown in the picture given below. In the left side, it will show the amount of cPanel has created under the package. And the right side will show how many cPanel can be created more. Next, click on ‘Create’ button and a new account info will show, that means new account has been created. From the data appeared, copy the ‘New Account Info’ part and mail it to the cPanel owner or your client.